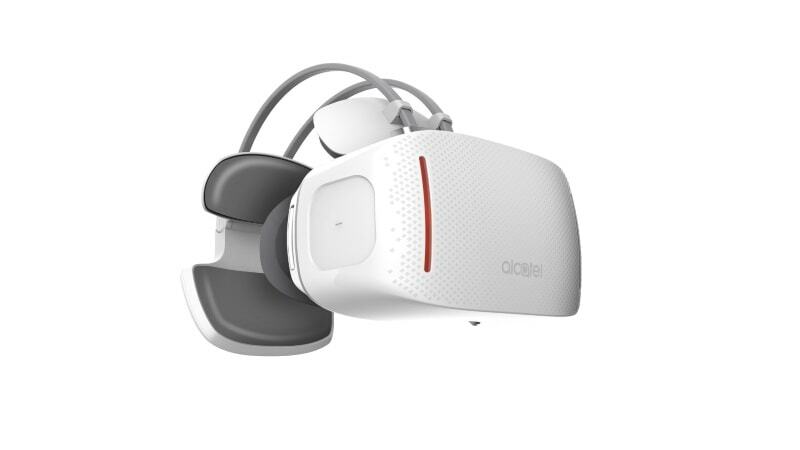 Alcatel on Thursday at IFA 2016 has unveiled a standalone VR headset called Vision, as well as two models of the Alcatel 360 Camera. The Alcatel Vision VR headset is based on the Android platform and comes with two 3.8-inch 1080×1020 pixels resolution Amoled screens. The device is powered by an octa-core processor coupled with 3GB of RAM. The company claims that the wireless VR headset offers best-in-class field-of-vision of 120 degrees and lowest latency that is currently available, 17 milliseconds. Interestingly, the device also adjusts for myopia and thereby removes any need for corrective glasses or contact lens. Alcatel’s Vision comes with 32GB of inbuilt storage, Wi-Fi, Bluetooth, LTE, accelerometer, gyroscope, proximity sensor. The device packs a 3000mAh battery that company claims will last up to 3 hours of continuous use, reports Pocket-Lint. Even though the pricing of the headset has not been announced by the company, it did say that the device will be offered with “entry-level pricing” that is readily affordable, and is expected to be between EUR 499 and EUR 599 at launch early next year. “Alcatel partnered with Jaunt VR, Magic Interactive Entertainment and Fraunhofer, which will provide preloaded content and hardware to enable Vision users to immediately benefit from its enhanced capability and so get a better experience,” the company said in its release. Along with the VR headset the company also announced its Alcatel 360 Camera that comes in two shapes, round and rectangle, and plugs into company’s smartphones. Both the camera models come with dual 210-degree fisheye lens. The company has not revealed the price or availability of the camera as well.